According to the latest American Enterprise Institute  National Housing Market Indicators Report for Q2 2018, strong home price increases have not had much of an effect on the home sales market. The national home sales market remained solid, according to AEI, reporting that for the four quarters ending in Q2 2018, 6.37 million sales transactions were reported, up 160,000 transactions, or 2.6 percent, from the four quarters ending in Q2 2017. Additionally, the report notes that sales transactions increased 0.2 percent in Q2 compared to a year ago, marking the fifteenth consecutive quarter of such increases. This comes as the FHFA’s national house price index jumps 6.6 percent year over year in Q2 2018. The report also notes the credit easing from several federal agencies, meaning more “credit-challenged” borrowers have remained in the market. 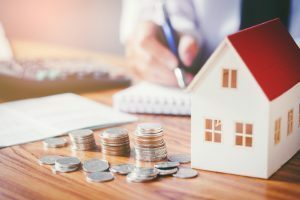 “By counter-cyclically buoying demand, these agencies are worsening the housing supply-demand imbalance, which is already at historical levels,” said AEI’s report. Looking forward, AEI has four predictions for 2018. First, AEI predicts the limited single-family home inventory to become more limited through the year. The report also predicts the price boom which began in 2012 to continue, accelerated by the limited inventory. Third, first time buyers may face additionally affordability issues as home prices increase, especially on starter homes. First time buyers are also likely to face take on more risk of debt and default given these conditions. AEI found that Fannie Mae and the FHA have been competing for these first time buyers by easing credit access. The report notes that the high levels of the pace of credit easing has been “worrying”, and Freddie Mac has largely resisted the trend. AEI also states that with the tight supply-boosted seller’s market, credit easing will be reflected in the price increases.